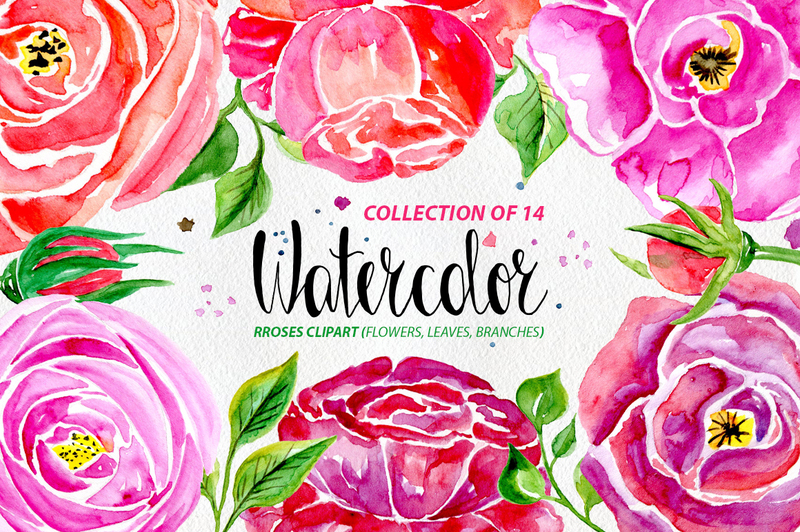 Watercolor flower clipart: 14 purple, red and pink roses, flowers and leaves, aquarelle digital clipart, watercolour rose flower clipart. 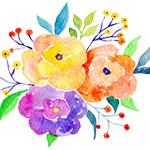 Watercolor floral hand drawn clipart with roses flowers, leaves & branches. 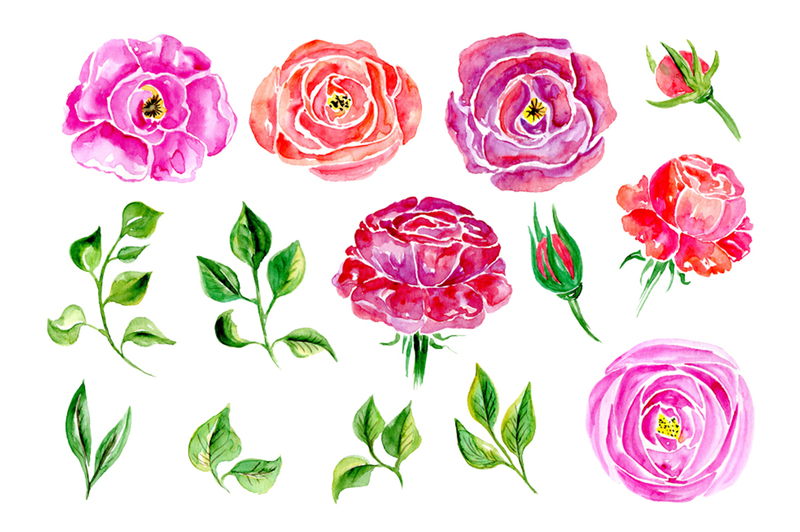 Bright handpainted watercolor flowers rose (purple, red and pink color), leaves for wedding invitations, greeting cards, party invitations, posters, birthday projects, for blog banners and more.